The Xbox One is not just a simple game console, the built-in optical drive also enables you to watch Blu-ray/DVD discs with it. After the first Xbox One came out in 2013, Microsoft has been constantly updating the device by releasing updated versions of it like the Xbox One S and Xbox One X. If you haven’t played a 4K Blu-ray disc with Xbox One before, check out how you can do it in the content below. Does Xbox One support 4K at all? When the first generation of the Xbox One came out, it doesn’t support 4K video playback and 4k upscaling for games. But the Xbox One S and One X do have 4K support for video playback and games. 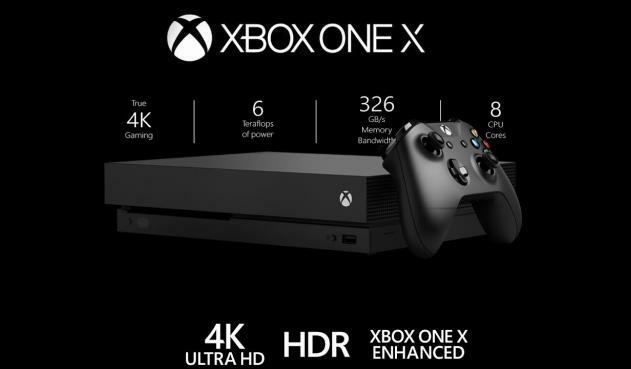 While on the original Xbox One 4K Blu-ray is not supported, Microsoft does provide 4K Blu-ray/video playback and gaming support on the updated Xbox One S One X. If you have an Xbox One s or the One X, you should be able to watch 4K Blu-ray on them easily. While 4K Blu-ray and video playback is naturally supported by the Xbox One S and One X, there’s something you need to know when playing a Blu-ray disc on them for the first time. 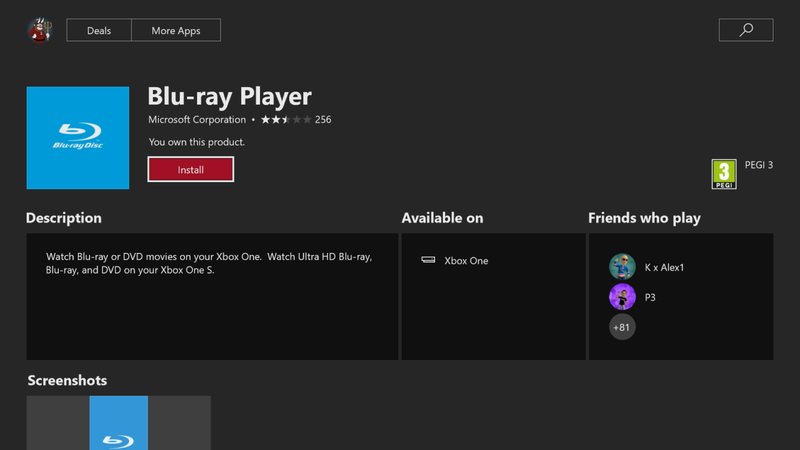 It will require you to install a specific Blu-ray player app on the Xbox one for playing a Blu-ray disc. So when you put a Blu-ray movie disc in the Xbox One’s drive, there will be on-screen instructions to guide you through the installation process of the Blu-ray player app. All you need to do is insert the disc to the console, follow the instructions on the screen, install the app and start enjoying the Blu-ray movie on the console. On the original Xbox One 4K Blu-ray playback is not supported. If you only have the first generation of the Xbox One, there are still ways for you to play the 4K Blu-ray disc on it. But you might have to go through a few extra steps in order to make that happen. So if you can have the 4K Blu-ray movie converted to a suitable format, you’d be able to watch the movie on the Xbox One. But as it doesn’t support 4K video playback, you’ll have to have the 4K resolution downscaled to FHD(1920*1080). To make sure that the quality won’t decline, you’d better use a high-quality Blu-ray ripper program. After doing a little research for that, I would recommend that you take a look at Leawo Blu-ray Ripper. This Blu-ray ripper software is able to rip Blu-ray to lossless MKV. Although MKV is not supported by the Xbox One, but at least we know that the program is capable of creating high quality videos and we can perform the Blu-ray to video conversion with it without having to worry about quality loss. 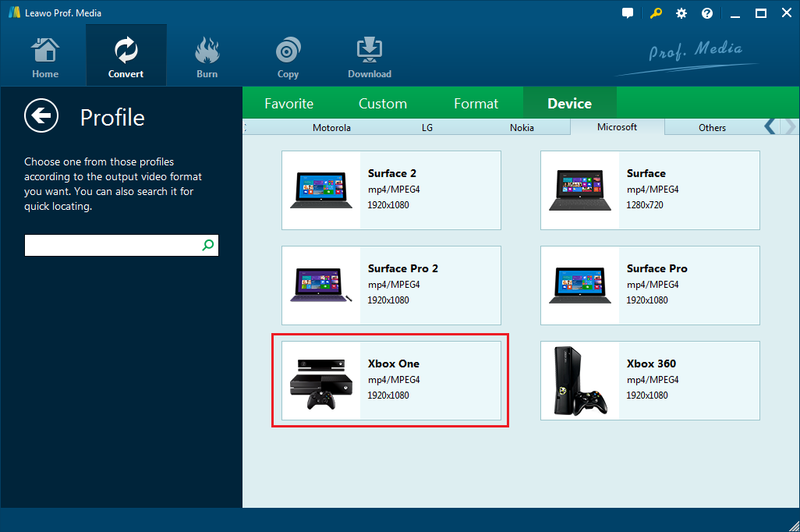 The program can rip Blu-ray to a lot other formats and the formats supported by Xbox One can all be found on the support list of Leawo Blu-ray Ripper so we can easily use it to convert the 4K Blu-ray movie to common video. Note that the Leawo Blu-ray Ripper is integrated into a software suite called Prof.Media so when you install it on your computer, the shortcut icon you will find on your desktop is Prof.Media. Here’s how to rip 4K Blu-ray to Xbox One on your computer. Step 1. Start Prof.Media, the software toolkit. On it you will see 8 shortcut icons in total. Look for the Blu-ray Ripper icon and click on it when you spot it. Then you will open the Blu-ray Ripper interface. Step 2. To rip the disc, first you need to import the videos in the disc to it. If the disc’s already in your Blu-ray drive, you can directly load the data in it to the program by clicking Add Blu-ray/DVD>Add from CD-ROM. Or there’s a more intuitive way of doing that: you can drag the Blu-ray folder directly from a File explorer window to the program. Step 3. When you see the video titles listed on the left side of the following interface, you need to select what videos to rip and play on the Xbox. You might not want to rip and watch all the video clips, in that case, you can use Custom Mode to choose the videos you need from the list by yourself or the Main Movie mode to have the program help you pick out the main movie from the list automatically. 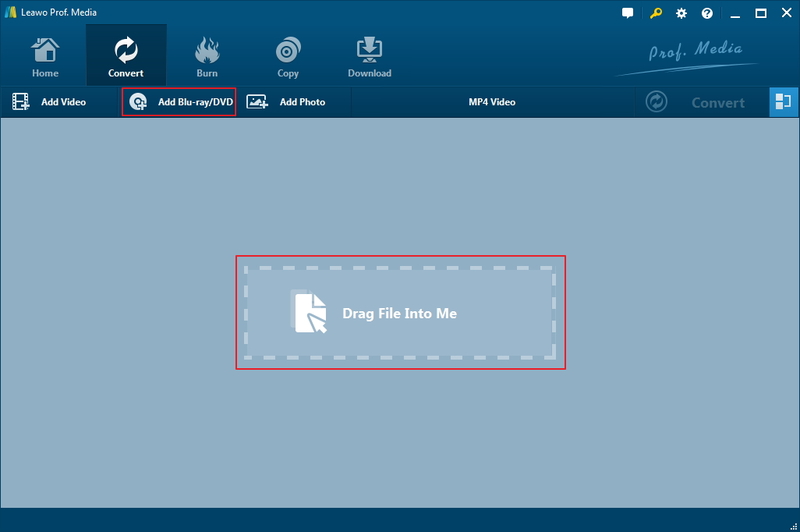 The Full Movie mode means the whole disc, so if you decide to go with this option, the program will rip all the videos in the disc and convert them to MP4. Click OK to confirm your decision. Step 4. The videos you chose from the last step will be listed on the video list. Now it’s time to select a format for the videos. The program has a default format before you select one and it’s MP4 Video. You can find the MP4 Video button above the video list. Click on it as you see it and you will see 3 more buttons. Click the Change button to go to the Profile panel and select a new format from the provided ones. There’s a profile made specifically for Xbox One, you can find it in Device>Microsoft. Step 5. Hit the Convert button next to the MP4 Video button from the last step. When a sidebar shows up above the video list, you will see the default output path and a Convert button on it. Before starting the process, you can reset the default output directory if you want to. And to start converting the 4K Blu-ray to your Xbox One, click that Convert button on the bottom. If you prefer a video guide, check out the video below which shows you how to rip Blu-ray to common video with Leawo Blu-ray Ripper. It’s pretty easy to convert Blu-ray to MP4 to play on your Xbox One with Leawo Blu-ray Ripper. If you have 4K Blu-ray disc that you can’t play on the Xbox One, you might as well give this a shot.